FORT GORDON, Ga. — We’re on the home stretch of the PDGA Professional Disc Golf World Championships, with the final round here already underway. Before that, some observations from on the course over the last couple days in the South. 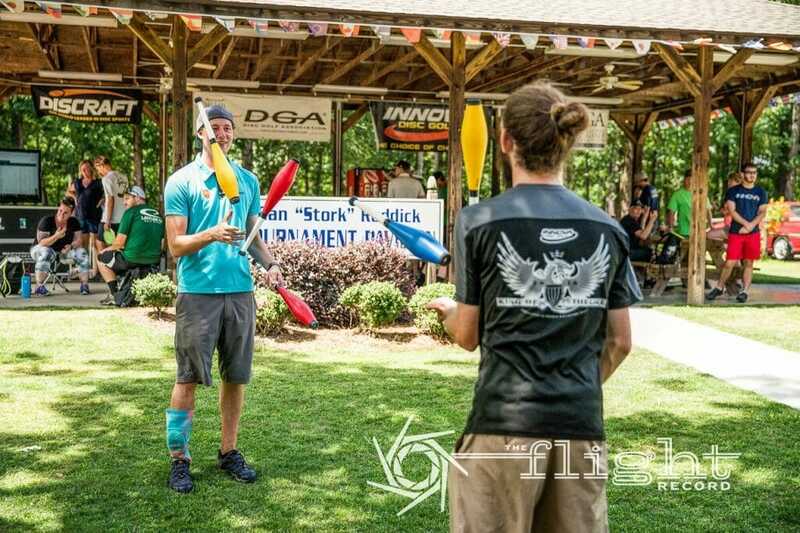 With Pro Worlds taking place a mere two and a half hours from his home base of Fort Mill, South Carolina, Ricky Wysocki enjoyed the comfort of familiarity yesterday as his family followed him through the woods of the International Disc Golf Center. Well, most of his family, that is. Wysocki is the third of eight children, and four of his siblings — plus his dad, brother-in-law, and Sockimom Sandra — were in attendance. I took the opportunity to chat with the crew during a backup on hole 14, and while they drew a blank when I asked them to share any particularly embarrassing stories about the reigning PDGA World Champion, they all agreed that the added notoriety of being atop a burgeoning pro field had not affected his personality. “No, he’s doing a great job with not letting it blow up his head,” said Rick, his father. Wysocki grew up playing baseball, his parents said, but dove headlong into disc golf when he discovered it. Still, when he decided to hit the road and pursue a career in the sport, they had their hesitations. “I didn’t discourage it, but I didn’t encourage it,” Rick said. Wysocki’s mother, meanwhile, had to battle her protective instincts. Luckily, he’ll have the whole team surrounding him today at Fort Gordon. Seen outside the IDGC pro shop after round three: Simon Lizotte and James Conrad taking part in a tandem juggle. The two pros wound down from the day by lobbing clubs, and then balls, back and forth in a routine fit for a county fair. It was their first time performing together, but both have been juggling since their youth. And the name of Lizotte’s clinic tour, The Flying Circus, suddenly makes a lot more sense. Conrad, meanwhile, shared his thoughts on the most difficult objects to juggle: flaming torches. Obviously, the hobby comes with some hazards that might impact Conrad’s disc golf game. Fortunately, his hands have remained unscathed. “But I’ve singed some beard hairs before,” he said. Any disc golf fan can spot Cory Murrell’s flowing blonde locks from a 500-foot drive away. 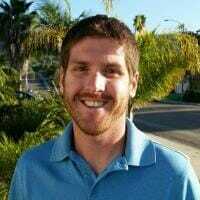 He’s out here this week anchoring Central Coast Disc Golf’s next-day video coverage, and I asked him to share his best hair care secrets. Though Murrell is known for his dry humor as one of the main CCDG voices, you can forgive him if he comes off a little punchy. Between filming, editing, and recording commentary, sleep has been in short supply. Paul McBeth didn’t have a terrible Thursday at Fort Gordon, firing off a 7-under par 60 that kept him on the chase card for round three. But once he left the military facility, things turned south. McBeth laid out his bad day during some downtime between holes at the IDGC. First, he went paddleboarding at the campground he’s staying at for the week, but fell off into some murky water. He came out of it with a splinter in the middle finger of his throwing hand, which he had to end up cutting out, leaving a small gash. Then, as he was eating a sandwich later in the day, he cracked one of the crowns on his back teeth. And to round out the bad luck, one of his favorite watches broke. He didn’t get much of one during yesterday’s third round, either. He fell 11 shots behind Wysocki’s lead. With two courses now on the base, Fort Gordon is introducing a 3,000-person population to disc golf. I caught up with one uniformed service member, Sgt. Joshua Bowles of Kentucky, who took in the event on Thursday in full fatigues. He’s been playing for just under a year and takes part in a co-worker bag tag league at the facility’s more amateur-friendly Army course. Bowles compared Pro Worlds to another, slightly more noteworthy event that takes place about 20 minutes east: The Masters. He attended the hallowed event in 2016 and reflected on the experience as he watched McBeth and Lizotte smash drives on hole 3 at Fort Gordon. Wysocki enters today’s final with an eight-stroke cushion, and he obliterated the Fort Gordon course on Thursday. His second title isn’t in the bag just yet, but we did talk about how he soon might be writing “2x” next to his signature. Does he write the number in the conventional, flat-bottomed style, or opt for the curlicue? “I’m a curly,” he said with a grin. We’re a few hours away from seeing if that’s true. Comments on "Pro Worlds Notebook: Wysocki Family Matters; Lizotte’s Literal Circus"